Sorry for the background. This one got trapped indoors ! Last edited by Ian.morgan; 05-03-2016 at 04:16 PM. Would this be a Bumble Bee? I just wish I'd caught it on a pretty flower, rather than trapped inside a window frame. All Bee lovers will be pleased to hear I shepherded it outside safely. Bombus terrestris, if I'm correct. You're in Europe, no doubt. I'm glad to hear she's on her way, hopefully she'll find some nice abandoned rodent nest and set up shop. At least you got a nice shot, those queens can be tough to photograph, they move so fast and constantly. It was enormous, so possibly the white tailed bumblebee. I would say nearly 30mm long. I have some less sharp pics I'll post for identification. Reading the information about terrestris, it seems to be the earliest to emerge. It certainly looks distinctive, so ID should be easy enough. Queens usually are much bigger than the workers later in the year. Often so big their heads look disproportionately small. Here in Northern Illinois right now the most likely Bumble Queens are B. bimaculatus. I've seen several looking for nest sites. The male Xylocopa carpenter bees are out, I expect to see the queens soon as the redbuds are blooming. We've had a late cool period, which has screwed up the "normal" timing a bit, if there is such a thing. 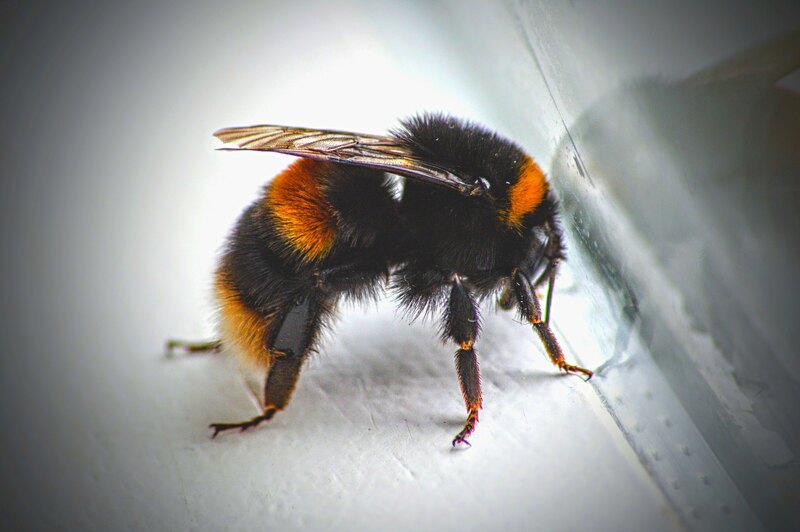 Hopefully you have a nice, varied, Bumblebee population this year!